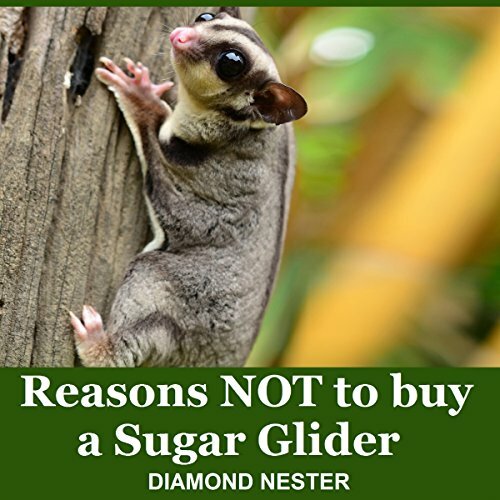 This book is not intended to shy anyone away from buying a sugar glider, but rather to provide education and insight into what owning a sugar glider truly entails. When I got this book I thought it would be a book about the negatives of getting one of these charming little guys PLUS the accommodations necessary to live happily ever after with one. What I got for my money was a 12 minute diatribe read by the most pompous sounding narrator ever. I got no information that would be useful. For example, the writer says that diet is extremely important but doesn't go into the many diet choices available with the pros and cons of each or even about what they eat in nature. I have owned and loved ferrets for decades and certainly a book about what you need to know about them before you consider getting one is necessary because pet shop owners will tell people that they're just loke dogs and cats, which couldn't be further from the truth. There are a myriad of books out there that do that while giving a balanced view of the other side along with things you need to do to accommodate them so you will be happy with them and not abandon tem. This essay, because I can't call it a book, did none of that. This is the worst purchase I have made from Audible and I am very grateful for their return policy. I can't tell you enough times that if you want to learn about the pros and cons of glider ownership, go elsewhere.